The Formula One (F1) Korean Grand Prix will return to the Korea International Circuit (KIC) in Yeongam, Jeollanam-do Province on October 12th through 14th. Autumn foliage and the serene Yeongamho Lake in the surroundings of the KIC will certainly provide a scenic backdrop. Don’t miss the thrilling auto races at the 2012 F1 Korean Grand Prix! Yeongam is home to a number of cultural and natural attractions, including Wolchulsan National Park, the Historical Site of Dr. Wangin (Baekje Dynasty scholar), Gurim Maeul (2,200-year-old village), Dogapsa Temple on Wolchulsan Mountain, and a pottery museum. Furthermore, other major cities in Jeollanam-do Province such as Mokpo, Jindo, Suncheon, Boseong, and Gwangju are located within one to three hours by car from Yeongnam. The KIC is comprised of two sections: a temporary street circuit used for major races like the Grand Prix, and a 3.045km permanent track, which is open all year round. It also features Asia’s longest straightaway, on which an F1 simulator recently reached top speeds of 320km/h. Unlike the majority of the F1 circuits, the KIC is a counter-clockwise track, which brings additional challenges to the racers. Other counter-clockwise circuits include the Istanbul Circuit in Turkey, Singapore Circuit, Yas Marina Circuit in the United Arab Emirates, and Sao Paulo Circuit in Brazil. The KIC is one of the most highly advanced circuits in the world. Its track was built in a dual, hybrid structure to allow its length to change according to the type of race. At the same time, it incorporates elements of Korean traditional architecture in its design. For instance, the main grandstand of the circuit features a roof that resembles the eaves of a hanok (Korean traditional house). Overall, the circuit is a large venue that can accommodate up to 120,000 spectators. 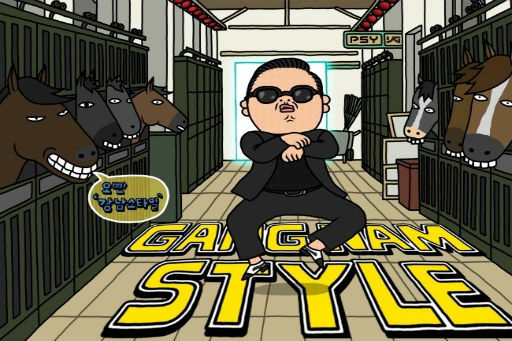 Win a pair of tickets (worth S$1000) to watch the F1 Korean Grand Prix Race Finals & Psy Concert on 14 October 2012! – Simply tell us in no more than 50 words why you’d like to win the pair of tickets. Email your application to sg_event@knto.or.kr with the following information and a copy of your flight itinerary by Wednesday, 3 October 2012 with your name, NRIC, email address and mobile number. Each winner wins one (1) pair of Grand Stand A tickets to the race and concert on 14 October 2012 worth S$1000. Five (5) pairs of tickets up for grabs! Book or have booked a Free & Easy tour to Korea with the 6 participating travel agencies or any other travel agency or airline. Your chances of winning doubles if you have booked with the 6 participating travel agencies. Must travel during the F1 Korea GP race period. Winner must provide KTO a copy of your flight itinerary. Open to Singaporean and Permanent Residents currently residing in Singapore. Winners will be announced on Korea Tourism Organization (Singapore) Facebook by 4 October 2012. (x)clusive! : Be NU’EST’s Fine Girl at Vizit Korea 2013!